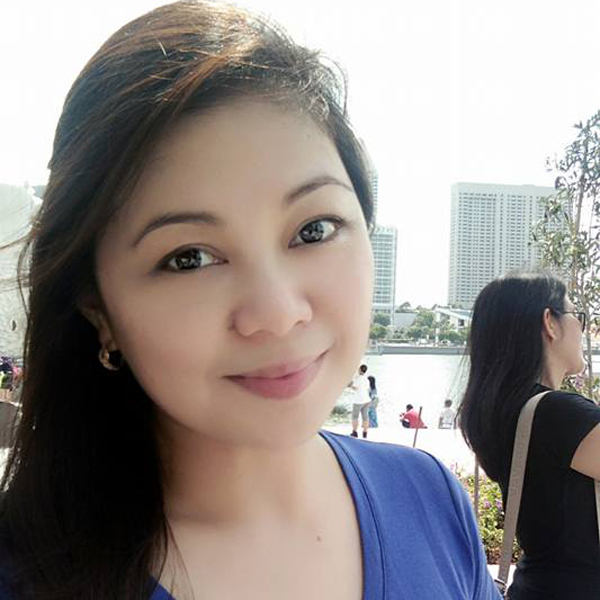 Co-founder of Non-Profit Organization, The Little Swallow, and Duterte supporter, MJ Quiambao Reyes recently took it to Facebook to address the worries and frustration of many Filipinos, Duterte supporters included, towards the rising prices of goods. Reyes took it upon herself to compare the prices of different goods sold among years past in the Philippines. She said that one of the reasons why she decided to address this issue, is because of the growing number of people who have expressed their frustration as well. Even to the point of not liking Philippine President Rodrigo Duterte because of this event. Reyes added that she was sharing what she has observed in order to inform people. Reyes shared a post that she made in 2014 where she indicated that in 2010, the price of rice per kilo was about P20 to P40. But in 2014, it rose to P32 to P58. She also gave an example of the prices of garlic and Gasul which she says did decreased by a lot since the last administration. Although, Reyes was good to admit that in terms of organic goods, there was a decrease, but the price of imported goods and come local process goods did increase. She says that misinformation should not happen and that people should know the whole story and see the whole situation comparatively, which is why she chose to share her observations. "Ayoko kay Duterte. Nagtaasan lahat ng presyo mula ng naging presidente sya. Ang mahal mahal na ultimo bigas!" I understand that a growing number of people has started to feel the same way. While I respect their opinion and dislike of Duterte, I thought I should at least share this 2014 FB post (below) to try to put things in perspective and help others get better informed. The photo below was taken sometime 2014. 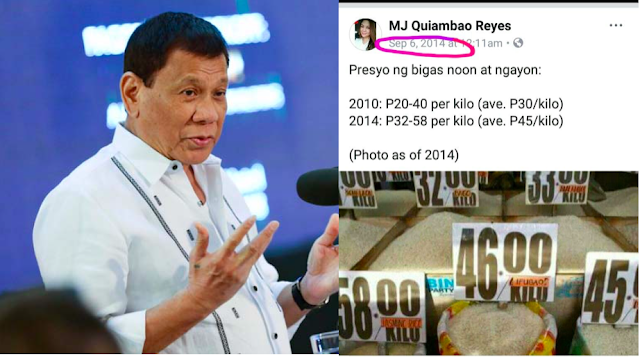 Price of rice prior Duterte ranges from Php32 to Php58/kilo or an average of Php45/kilo (Year 2014). As of writing and as I was informed this morning, NFA rice is now at Php27/kilo. 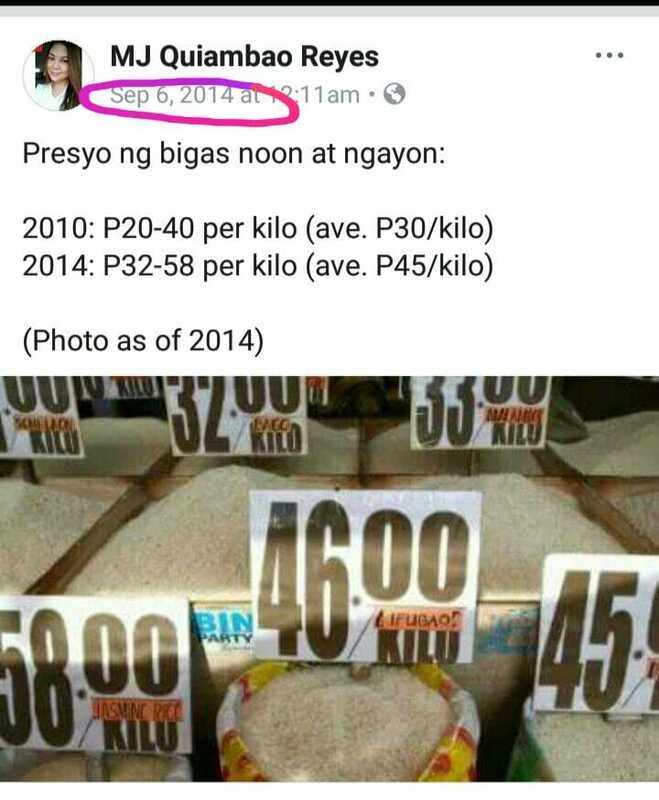 I recently bought commercial rice for our family's consumption at Php42/kilo which is much lower than the Php46-48/kilo I used to buy in 2014-2015. And oh, I also bought garlic @ Php45 for half a kilo--way lower than the Php350/kilo garlic in the past. Then of course, the 11-kg gasul (content) which used to be Php900-1,100 in 2012-2013 is now @ Php680-720. I must agree, though, that prices of imported chocolates, imported corned beef, and local processed goods (especially those with high sugar content) did increase.